Following the New England Patriots’ Super Bowl victory over the Los Angeles Rams, the players are looking ahead to the anticipated White House invitation with mixed feelings. Patriots player, Duron Harmon told TMZ that he would not visit the White House while President Trump is in office. 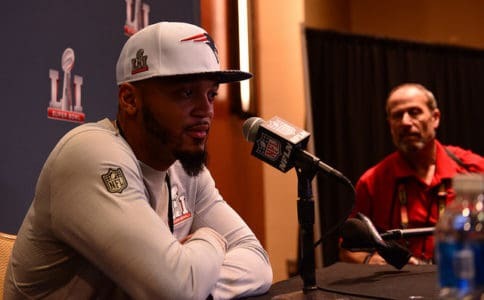 When the Patriots won the Super Bowl in 2016, Harmon was among a group of players who refused to participate in the traditional White House visit, citing their lack of support for President Trump and his policies. Sports teams visiting the White House following the victory of a national championship has become a source of contention under President Trump. In 2017, Donald Trump uninvited the Golden State Warriors basketball team after its star, Steph Curry, publicly expressed his reluctance to participate in the visit. The Warriors met former President Barack Obama instead. Trump also uninvited 2017 Super Bowl winners the Philadelphia Eagles, citing their disagreement with the president over whether NFL players should have to stand during the national anthem. Trump has reasons to believe at least part of the team will pay him a visit. He is friends with New England’s star quarterback Tom Brady, head coach Bill Belichick, and owner Robert Kraft. He is also reportedly a fan of the team and picked them for victory ahead of Sunday’s game.